Are 30 thousand species going extinct every year? — Spoiler: no. A crisis of overconfidence in climate science. This is just the first two paragraphs. Long quotes from reporters follow from Wired and Rolling Stone. The article runs for 2300 words, disaster after disaster. This is a subject I’ve wondered about: searching regional datasets for changes in some weather metric. None of these that I’ve seen make much effort to determine the significance of the finding. The NE US is almost 1/1000 of the Earth’s surface area. Divide the earth into 1000 grids, then examine three metrics (wind, temperature, precipitation) for changes over 35 years. What are the odds of finding significant changes (called “trends”) in many of them? Lots of exciting papers can be written about those areas. Climate change! “Changes in Extreme Precipitation in the Northeast United States: 1979–2014” in the Journal of Hydrometeorology, in press. Their conclusions are bold stated, and in my amateur opinion reflect quite wrong calculations. This looks like an all too typical failure of peer review,. Here are two alarmist articles in the daily links at Naked Capitalism on March 21 (despite this, they are useful and I read them every morning). The first is “Study shows IPCC is underselling climate change” at Phys.org, reposting a press release from the University of Adelaide, 19 March 2019. A new study has revealed that the language used by the global climate change watchdog, the Intergovernmental Panel on Climate Change (IPCC), is overly conservative – and therefore the threats are much greater than the Panel’s reports suggest. Published in the journal BioScience, the team of scientists from the University of Adelaide, Flinders University, the University of Bristol (UK), and the Spanish National Research Council has analysed the language used in the IPCC’s Fifth Assessment Report (from 2014). The accompanying graphic at Phys.org isn’t underselling! The paper is “Statistical Language Backs Conservatism in Climate-Change Assessments” by Salvador Herrando-Pérez et al. in Bioscience, 1 March 2019. But that isn’t the scariest climate doom article in Naked Capitalism’s links today. That honor goes to “New Climate Change Visualization Presents Two Stark Choices For Our Future” by Brian Kahn at Earther. Fear the scary colors showing the almost impossible RCP8.5 scenario! Climate “scientists” have not lost their senses, hence there is no hope of them coming to their senses. They are doing what benefits them and to hell with everybody else. Climatology has existed for a long time, but it was a poorly funded and obscure branch of science. Some con artists made alarming predictions about climate and found themselves well paid and famous. If climate “scientists” started telling the truth, 90% of them would lose their jobs in the resulting cutbacks. One also needs to consider the hoards of non-scientists who are making good money from various “green” scams. That’s a powerful point. I was being idealistic. That’s another score! Just dumping on them would have consequences. Big, difficult to imagine consequences. It’s almost as if they want us to move from a fossil fuel based economy towards one based on renewables, and climate change is a useful tool to achieve that goal. Rather than state what they want plainly they disguise their true desire as a beneficial side effect of reducing emissions. I see this everywhere, pressure groups will try to achieve their goals via an act of vandalism. The group will actively sabotage the system via an act of concern trolling, then when the system starts to fail they say look the system is failing, its time to invent a new one, luckly I have just the thing in mind. Where I live there is a socialist party that has introduced a series of reform measures that will make the private rental market unworkable, and drive out small private landlords, they backbone of supply. There real goal to expand socialised housing (which has little support among the electorate), but since this has proved unpopular, they have decided to sabotage the market instead, in the hope that this will force in social housing via a crisis of homelessness. Whatever harm is caused is fine as long as it serves the ideological position. A similar mentality is at work right across the left, true intentions are hidden under a layer of faux concern for some minority group, the smaller and less relevant the better (trans rights are perfect, since they are a vanishingly small group). What makes this effective is that the foot soldiers believe the surface argument, and so seem to be earnest. The western democracies are full of such bad actors, the rise of political correctness has made this significantly worse as you can no longer speak plainly or honestly for fear of being shut down. The modern Left, born out of a industrialised academica where careerism and politicking are far more important than verifiable research and real world results, move far more easily in this environment than the traditional right. Interesting the populists are the most honest, when they say they want to stop immigration, they actually mean what they say, there is no faux concern, or misdirection, you either agree or disagree, they are not emotionally blackmailing you into agreement. It’s why I see the rise populism as an antidote to the left, an antidote the traditional right cannot provide, since they use similar tactics. Over the years, many Leftists have been quite open about using climate change as a stalking horse to gain power and implement their statist policies. This is a defining characteristic of both left and right – since the policies of both are unpopular. I think most vital, live mass movements tend to be honest. It might be a requirement for a successful mass movement. Stop the economy! I’ve got a baaad feeling! The running out of fossil fuel claim is contradictory because the dire predictions of global warming are based on the assumption that fossil fuels will remain abundant for many decades. I think the reason no one minds is everyone knows this is fundamentally a con game. Men on the right try to score debate points by pointing out the insanity of leftists flying private jets to discuss the “problem”, while maintaining huge mansions and “polluting” the atmosphere with more CO2 than a hundred households. But this falls flat because deep down we all know better. It is a clever point, but not clever enough because the punchline, that no one really believes in AGM, is really far more cynical than the right can fathom. The joke is on the right, for thinking they have stumbled onto something shocking. Your comment goes to a dichotomy, or internal contradiction, in leftist doomster thinking. Their story for a generation was that we were “running out” of fossil fuels. Now their assumption – the foundational assumption of the RCP8.5 scenario which is the source of climate doomsterism – is that we have so much that we can burn it throughout the 21st century (relying in the second half on coal). Got to love how they flipped from story A to story B without missing a beat. Much as they are doing today from Overpopulation Will Destroy US to Underpopulation Will Destroy So We Need Open Borders. Our amnesia is their strength. Also, a trivia point: anthropogenic global warming is proven (it is basic physics). The questions, as usual in science, are about magnitudes and rates. How strong is the effect? What are possible negative feedbacks on it? The Left’s belief is in Catastrophic Global Warming (or CAGW), etc. Are you aware of any studies of renewable energy supplies (mainly wind & solar) being able to at least pay for themselves (the whole lot: from manufacture, transport, installation, maintenance to backup source / storage)? The backup / storage may be pump storage hydro or some other contraption — no fossil stuff. Lots of nonsense out there. Renewable energy sources pay for themselves where electricity rates are high enough (that’s true of all sources). The problem is that they are often applied in situations where there are cheaper sources (including all costs, including for back-up power sources). The question is whether the higher cost is worthwhile considering the externalities – standard pollution, GHG, environmental impacts, etc. People can get what they want, so long as they are willing to pay for it. Dung is a cheap energy source, but you might object if your neighbor used it. In some cases renewables (broadly defined) are cost-effective, even up to 100%. For example wind or solar plus hydro. Or daylight use on a small scale in remote areas, where batteries are adequate back-up. I think the right (which I see myself supporting), needs to shift towards renewals, for pragmatic reasons, they will loose too many young votes, and as the world shifts green the jobs will follow the countries that invest in this new technology..
As a non scientist, I feel the future may lie, in developing and making the future batteries in the West, be they lithium, ultra/super capacitors or whatever. The idea of most urban cars and vans being electric does not worry be, it matters as little to me as the fact I started driving a small petrol engine and moved to a bigger petrol engine and have for the last twelve years driven diesels. What is important to me is we have jobs for our young. I could not care if my next car was hydrogen (a good battery for alternatives), lithium, a super capacitor or a super efficient next gen diesel or petrol. It needs to be comfortable, efficient and safe to drive, plus reasonably priced. One Electronics Trainer I work with thinks most urban buses should have a ultra or super capacitor built into them and charge up at each bus stop now, as China has these now. If we fight the good fight to stay petrol, don’t be surprised if the new buses are Chinese made electric ones in ten years time. Telling the unemployed blue collar guys about polar bears won’t bring his bus assembly job back. (Sorry to be so blunt). I am not sure about climate change, I am sure of this, I don’t want to loose either of my sons or daughter fighting over oil. I have lost a brother, that is enough family, thanks. I am for electric vehicles and the Saudi’s, Iraq’s and Iranians’s can keep their oil and their sectarian violence, as well. We have the opportunity, to convert to electric vehicles for 50-80% of vehicles (#), the roofs of most houses can generate all the power they need. Energy self sufficiency is a wise move, if we can stop importing Chinese’s deflation and over capacity in renewables and make the wind turbines, next gen solar arrays (that last 50 years) and batteries we will see those desperately needed blue collar jobs in our cities. As free marketers we can lead this inevitable shift with many private firms, free enterprise and real jobs, or we can watch the left take us there with socialist enterprises, but either way that is where we are headed. Police, Fire, Emergency and Military vehicles etc would stay petrol/diesel and some may take fifty years to convert, this fuel we can provide domestically, even if we have to synthesis or grow it. I don’t understand what you are attempting to say. The transition to electric vehicles will occur in its own good time. How much money do you want to spend to accelerate the process? Whose money? The Founders would say that Liberals should raise the money among themselves, if they feel so strongly about it. Alternatively, climate scientists could make an effort to show that their models have predictive ability and their temperature reconstructions are accurate. So far they have put little effort into these things. 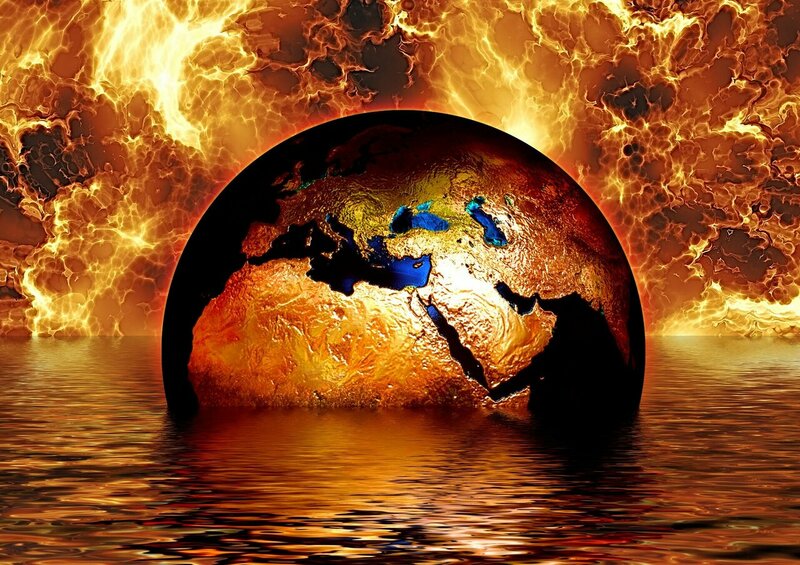 -Dangers to societies and populations from governments, NGOs and corporations exploiting climate change. Thanks to Richard Lindzen and others for putting on the record how broken is the field of climate science. It is dangerous in itself, and it also extends into other domains, threatening the scientific basis of modern civilization. Fixing such scientific perversions will be difficult and lengthy, but it can only start with acknowledging how bad it is. It truly is worse than we thought. You must be kidding. This post is two thousand words, four times the optimum length. A full history of the climate wars would be a book. You presume a lot. I’ve written 482 posts about climate change during the past ten years. I converse regularly with several top climate scientists (who also review and promote my posts). I’m an accredited journalists with several science associations, and have subscriptions to Science and Nature. Perhaps if you read my posts, you will learn some things. Ok, you have nothing to learn. Got it. A lesson for you: don’t make assumptions, esp such patronizing ones. Larry, my comment was to note how Lindzen’s account is consistent and supports what you are saying. It was not meant as criticism, though apparently you took it that way. I’m sorry to offend you, it was not my intention. The corruption of the science has extended to the who is a “climate Scientist”.. If your degrees are in history or psychology ( Oreskes , Lewandowsky) but you support the consensus ,you are in. However, go against the groupthink, even if your a well published academic who has specialized in atmospheric physics (Pielke Snr, Lindzen) then you aren’t competent and not one. Makes getting to 97% easy. As you point out, the activist scientists have deliberately stoked the fires of fear in the general population. Either by piling assumptions onto the RCP8.5 scenario, or by writing sensationalist articles where the abstracts and headlines don’t match the information in the reports (which they know no-one but sceptics will read). It’s a good catch showing Ms Bhatt is rewriting history. Has she removed the earlier paper from her CV yet? When each scare dies down as the data refuses to co-operate, they move on to a new one. The Greenland Icecap melting to cause the sea level rise is just so 2016. Now it is a couple of Antarctic glaciers. Should one run a sweepstake on what will be the next, or is that just being too cynical ? Separating the threads into a separate comment, I think you are right that the loss of public confidence in science from the activist climate scientists over the top predictions will cause a lot of collateral damage. It also ties in with the post modernist movement where there are no “truths” and everyone’s point of view is equally valid. Look at the rise of the anti-vaxxers which is now killing children. How else can that be explained, but as a rejection of science because they don’t trust them? I hadn’t thought about a connection between loss of faith in science and the anti-vaxers. Good point! I can’t comment on the US, but here in NZ, a lot of the anti-vaxxers are on the fringes of the Green or left wing parties and are also anti GE but very pro climate change believers. They only believe in science when it supports their views/ prejudices. Truthiness rules. This was confirmed by the leader of the Green Party in a parliamentary question about why they supported climate change science but not GE. When one looks into their backgrounds, very few did STEM subjects, even to the end of high school. They cannot understand even simple things like the difference between power and energy, or why clouds form. That ignorance could also be a potential factor in the situation that activist scientists exploit. There is no BS alarm going off. Thanks for the reply Editor. That was my point, there. You think, I surmise,, he is pro -electric vehicles and energy independence, therefore he must be a Liberal, Conservatives like bombs, coal and petrol, which I added for the opposite reaction. The young mainly want alternative, if “we” don’t incorporate these in our thinking, then we will have lost the young voters. Make our voters/ readers mainly post 45 years old and I believe those young will drift into the socialist or Fascist camps in relatively high numbers, as they are now. Companies get subsidies all the time. Soft loans, low business rates, you name it. I worked for Sakura Bank for a while and saw the loans included in there capital allocations in their loan documents with us. The world is moving toward renewables, I am saying government can invest and help the sunset industries or the sunrise. I am for the sunrise, the new industries. I have 4.25 kw of solar cells on my roof, all lighting replaced with LED as I upgraded/renovated, my bill is $200 a year for power for four people. My system paid for itself in 3 years without subsidies. (2.91 years exactly, my wife is an accountant). Sadly Australia’s car industry is dead, the Ford, GM and Toyota plants are gone, as they made the gas guzzlers that less and less people wanted and no one bought as exports outside a few sold to the US and Middle east. I am driving my third Ford Range Pick Up, that I use for my side business, I average 60 miles a day max; chances are the next one in buy with say another 4/5 years of technological advance will be an electric one. Of course until then I will run the existing one, but I will be watching the progress or lack of it. The world is shifting to electric vehicles, we can lead the pack or follow the herd. Ford I see is moving electric will a new F150 and the Rivan pick up looks interesting. If we want blue collar jobs we must move with the times, Australian didn’t. We just have coal and other resources, which doesn’t make for a diverse and resilient economy. Think of climate change like the idiosyncrasy of a very pretty young girl that clearly wants to you to take her home for the night, you are young and single again, do you bite your tongue about climate change, and get what you really want – her, (blue collar jobs in the future), or no you blow it and mention the polar bears and walruses, and let the socialist take her home? I want to keep our young, I want them to study science and engineering to learn about alternatives and conventional energy, batteries and manufacturing. To be the scientists and engineers that make things in our nations, where the blue collar workers have jobs in plants they design and run. If I have to ignore whether climate change is right or wrong, I would prefer to get the girl/ jobs/STEM grads and a hell of a lot less Sociology/Fine Arts degrees or drugs or socialists poisoning our young. I note that until very recently, there was a reference to this article up on Climate etc as a Twitter post by Pielke Snr which Dr Curry retweeted. At the risk of sounding like an echo chamber, I suspect that you are a lot more influential than either the comments or your blog traffic indicates. Congratulations. I rely on counsel and expert advice of both Professor Pielke Sr and Dr. Curry. Curry has posted quite a few of my articles at Climate Etc. Pielke tweeted about my post. Curry re-tweeted his tweet. Here it is. https://t.co/v18tiRNPRt. Excellent post summarizes failure of climate science community to provide objective balanced assessments of climate system & how humans are affecting it. Policy makers are being misled, or are knowingly using this misinformation for other purposes. If the LIA ended in the mid-19th century, why did you choose the period 1905 – 1945 for your comparison with post WW11? The recent trend is more than 3 times the rate of the former. Not exactly, “roughly the same” as your argument suggests. Good question! For three reasons. The global temperature records in the 19th C are pretty crude. Coverage of the oceans (70% of the surface) was skimpy. There was almost no coverage of the poles. Even on land, for much of the world coverage was spotty. The combination is inadequate to calculate decadal trends to hundredths of a degree. So comparison with modern rates is a bit of apples to oranges. I did start with the end of the LIA since I use NOAA’s interactive climate tool begins in 1870, when there are somewhat reliable records. I wanted to compare two 40-year periods in similar phases (warming). First – as noted above – temp numbers for years before 1900 are not reliable (that’s an arbitrary dividing point, of course). They’re just the best available. Second, comparisons should be of the same length – not 65 to 73 years – and similar cyclical phases (I used warming periods). It is not a game in which you play with the numbers to get results that you find pleasing. Ok, so what was the trend (albeit only somewhat reliable) from 1870 to 1945? “Second, comparisons should be of the same length – not 65 to 73 years – and similar cyclical phases (I used warming periods). Wow. You’re accusing me of cherry picking because the intervals were off by 8 years? I simply wanted to use all the available data, roughly divided by WW2. The six decades furthest removed from the LIA warmed at twice the rate as the earlier ones. A big problem for the “continued rebound” argument. You don’t appear to be listening. I’ll try once more. Also, I’m sure you’re having fun with numbers. But to shuffle the numbers another way, the trend 1909 to 1945 is 0.15ºC/decade, the same as in the anthro global warming era. But, as I said, this is like math before the invention of statistics. These are all short time horizons, with statistically insignificant conclusions – other than that the world is warming. This is the basis for your argument, and I mostly agree: we have 74 years of reliable records (1945 thru 2018) for what you call the anthro global warming era. Only 45 years of reliable records before that (1900 thru 1944). So yeah, it’s hard to separate AGW from natural variation. A lot of uncertainty. Now you’re comparing a 37 year interval to a 74 year interval, breaking your own rule. For what it’s worth, the last 37 years warmed at 0.17 C /decade.